Local jazz/dance band Ragtag Romantics are calling it a day after one last show on Friday at Big Dipper. MUSIC | The free Rainier nights at the Bartlett continue with a show tonight featuring Mini Murders, Newman and dee-em. Supporting local music with no money down? Great idea, do it to it. OUTDOORS | Take advantage of REI's cool classes, including tonight's look at "Preparing for the Unexpected: Outdoor Emergency Basics." A great idea before your next camping trip, and it's free! FILM | Beat the heat by watching tens of thousands of Deadheads brave a balmy day in Philly back in 1989 for the Grateful Dead Meet-up at the Movies, tonight featuring a show from the old Kennedy Stadium, the last one ever at that revered venue, projected on the big screen of Regal Cinemas. WORDS | Before Lance Armstrong's scandal for his tainted Tour de France wins, America had a hero who had won multiple Tours in Greg LeMond. A life-threatening injury and schism from American racing during the Armstrong years pushed LeMond to the side, but author Daniel de Vise found a lot to write about, and he'll be at Auntie's to discuss his book The Comeback. MUSIC | I know the show is "sold out" but where there's a will, there's a way (and the internet) to find tickets for the Willie Nelson/Alison Krauss show tonight at Northern Quest. Two legends and fine live performers, they together make for one of the must-see shows of the summer. FESTIVAL | The 50th anniversary of Art on the Green in CdA gets underway today, and runs through Sunday. Watch for the new Inlander for a story on how it grew into an amazing art fest. 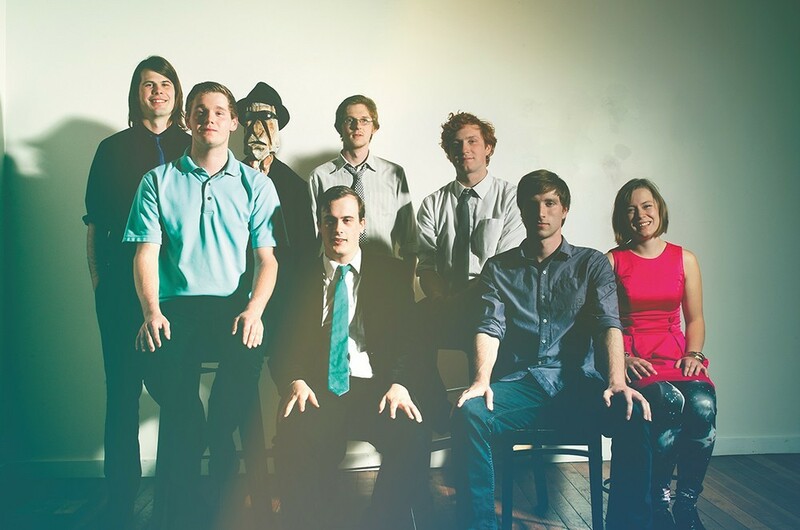 MUSIC | Locals the Ragtag Romantics sign off with a farewell show tonight at the Big Dipper. BEER | It's the Spokane Brewers Festival at the Spokane Arena, and this time, it's air-conditioned! After a couple of toasty years out in the parking lot, the festivities are moving inside and the festival is just one day. You'll sample dozens of beers and hear music from the Smokey Brights, South Hill and more on a stage curated by the Inlander. WORDS | Join the party as Scablands Books releases local poet Aileen Keown Vaux's chapbook called Consolation Prize with a bash at Interpunct Press.